Abstract painting’s diverse and vigorous practices remain in a transient state of being, passing from, between and into other states. 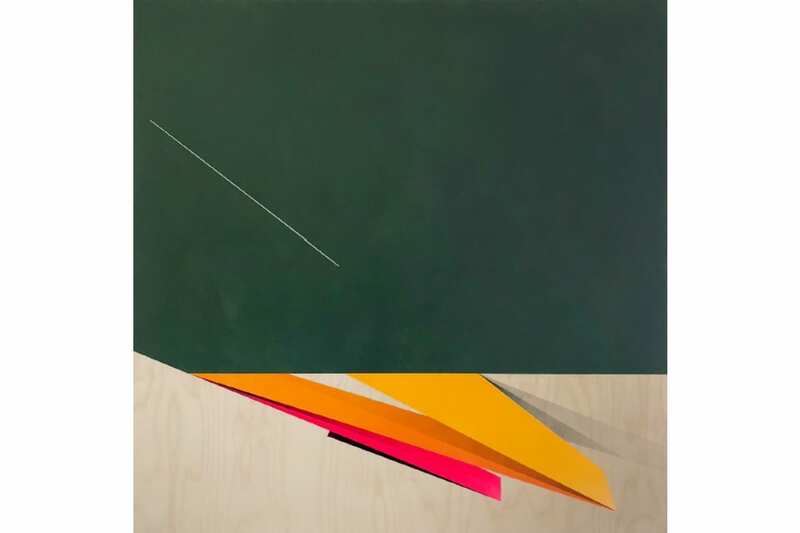 Interlude presents the work of three artists whose individual approaches to painting fuse self-reflexive criticality, material experimentation and aesthetic impact with a rich engagement in Modernism’s temporal histories. Working with the autonomy of invention inherent in abstraction, Lamb, Peters and Rough explore a layered, complex and sensual grammar of paint that encourages possibilities of renewal and transformation. Showcasing work made or selected with the unique architecture of the House of St Barnabas in mind, the exhibition constructs a transitional space in which to consider the fluid relationships between the artists and the nature of painting itself. Peter Lamb’s means are foremost digital. 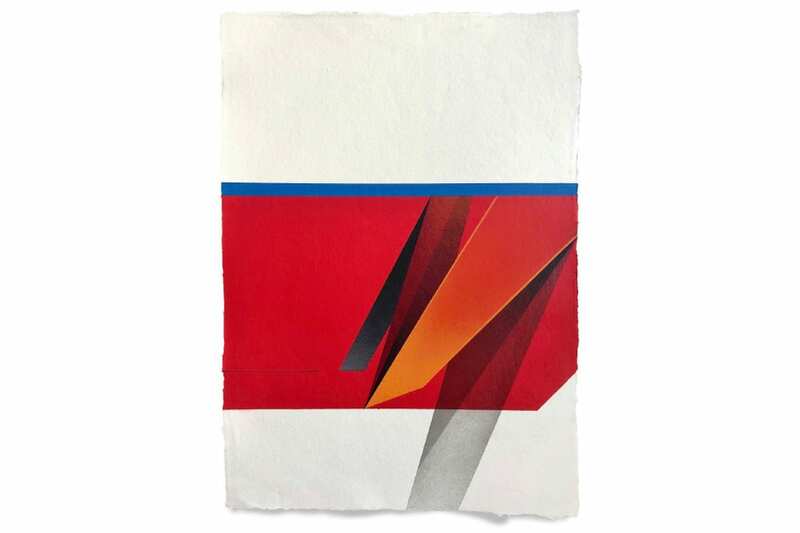 He has exchanged the symbolic substrate of canvas for the representative photographic surface of ‘softimage’; emulsion here is a print finish, rather than a painterly primer. Photographic experiments with paint and pigments, this digital repertoire of image is a cache which Lamb continually plunders. His paintings are as consequence, both mechanically rendered and fundamentally handmade; they are past iterations re-formatted as much as they are a conduit to making the next paintings. 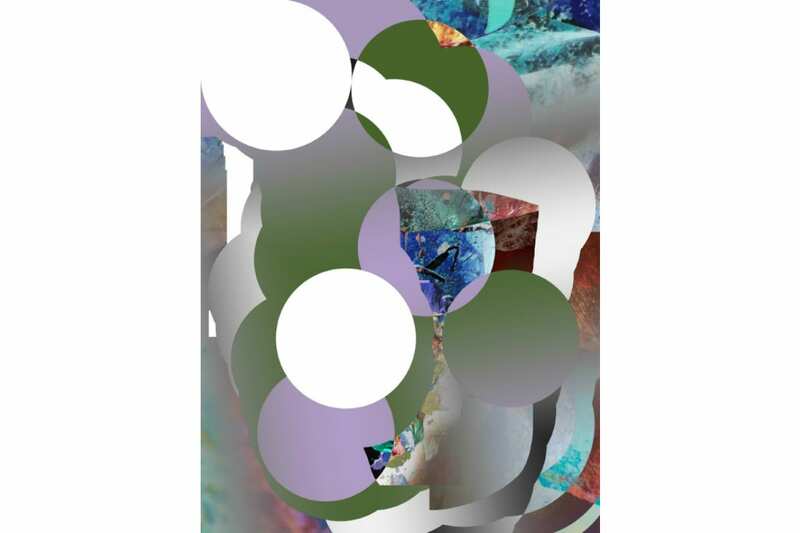 Through intuitively but precisely executed works Charley Peters considers the language of abstract painting in the context of current media, where viewers experience multitudinous visual information in quick succession, often dematerialised and seen on screens. Using techniques of layering and juxtaposition as a means of exploring the spatial capacity of the painted surface, Peters explores the disrupted syntax of pictorial composition synonymous with our experiences of reading space, material and abstract form in the post-digital image world. 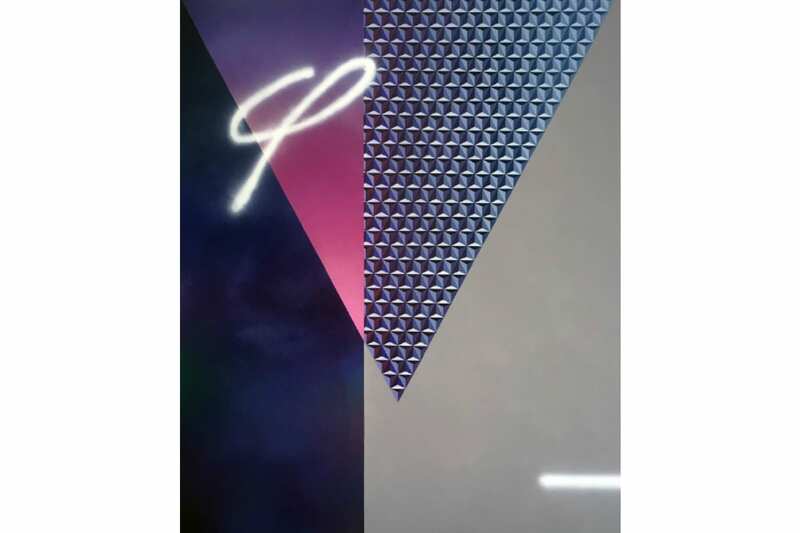 She considers the legacy of hard-edged abstraction and the posterity of painting through a contemporary lens. Remi Rough makes work that deals with visual semantics, distilling fragments of the world around him into powerful abstract compositions. His pseudo-sculptural paintings and large-scale murals are instilled with a ‘street-wise energy and tension’ born from early experiences as a young graffiti writer, painting walls and trains across the world. 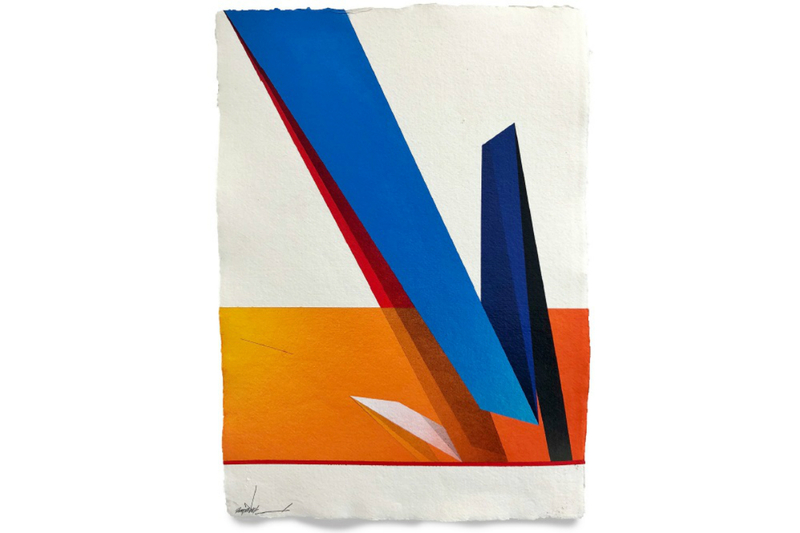 Remi’s work is exemplified by an instinctive use of colour and geometric form, expressed with equal effect when witnessing one of his vast murals or his refined abstract paintings on canvas or panel. An illustrated catalogue and collaborative print edition by Lamb, Peters and Rough will be released during the exhibition.